Publishing daily news for the Capitol Hill neighborhood, Hill Now offers tree-free, affordable local advertising options for the 21st century. 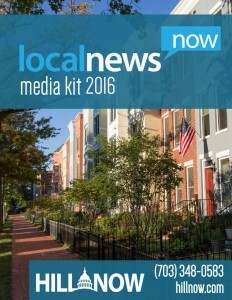 Our easy, cost-effective advertising solutions reach residents young and old, encompassing Capitol Hill and all reaches of D.C.’s Ward 6. See our latest Media Kit and Rate Sheet, plus our list of ad packages, for advertising and marketing options. For additional information, contact business engagement director Julius Thomas at [email protected] or (703) 348-0583.